Fitflops for Women and Men too. Why Fitflops Are So Good For Your Feet. Now, I wear Fitflops all and every day, in summer and winter. I have Fitflops that will see me through all occasions, except the most formal ones, and I value the style and comfort that they give me. 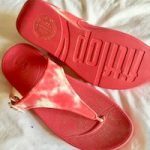 For those of you who have never come across Fitflops before, well, I hope I can show you just how different and amazing they are! You may ask what is so amazing about Flipflops? And why would they have a place on a website about Natural Remedies? This will all become clear as you read on! More than likely you have some flipflops in your wardrobe – the floppy plastic kind that you wear for the beach or pool. If so, you are probably wondering why I am raving about another kind of flipflop. The only resemblance between those floppy kinds of footwear and Fitflops is that some of the styles are open sandals with a toe thong, but by no means all of the styles have that. The very first time that you put on a pair of Fitflops, you will just know how different they are! OK, How Are They Different? First of all, they are incredibly comfortable! You could walk for miles on them, and you would still feel comfortable! Unlike plastic flipflops, you never feel that your foot is going to slide off the edge – in fact your foot feels really supported, due to the way that the shoe and the sole are made. Does that sound like the flipflops you can buy at the beach? Of course not! And There Are So Very Many Styles To Choose From! Apart from the amazing styles and comfort, Fitflops really did give me back my life! Some years ago, I had a series of operations on the tendons in my ankle. I don’t intend to go into details, but after the plaster was finally removed, I was left with a very weak ankle which made walking difficult and uncomfortable, and almost impossible with bare feet! My heal was so sore and tender that I could not bear to wear any kind of shoe. The Fitflops did their magic! One of the great things about the fantastic micro-wobble sole which every pair of Fitflops have, the wearing of them will help to strengthen your calf muscles, and after about six months in plaster, mine were very weak. But after an incredibly short time, my calf muscles were much stronger and so was my ankle, and I was able to walk a fair distance comfortably. In fact, when I went for my next check-up with my hospital Consultant, he was amazed at my progress!! He said that he would recommend Fitflops to all his orthopaedic patients! In fact, Fitflop do claim that by wearing their shoes you are giving your lower body a work-out! Fitflops also, incredibly for a shoe, do in fact help to alleviate back pain! As I have already stated, they are so much more than just a shoe! Ever since then, I have been a devoted Fitflop user! Even now, I still find it uncomfortable to walk barefoot or to wear “normal” shoes. Lucky for me then, that there are so very many different styles to choose from! At the moment, there are 383 different styles of Fitflops for Women! The size range is from size3-9, so they are suitable for older children too. There are 118 different styles of toe-post sandals. ranging from those you could wear for everyday to glamorous ones which would beautifully take you through lovely summer evenings. There is also a range of toe-post Fitflops specifically designed for beach wear. They are waterproof, with the same great comfortable soles and support as all Fitflops, making “normal” rubber flipflops completely redundant! Then there is a range of 65 slip-on sandals, again with some which are more for everyday wear, but there are also some more glamorous designs. To see the whole range if you are in the U.K. click here. 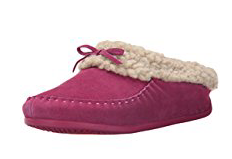 They also have a range of ridiculously comfortable Slippers! All have the same amazing microwobble supportive sole, and the extent of the ranges has to be seen to be believed! I love Fiflop Boots too! All of the boots are Leather, with the obvious exception of the canvas boots, and come in a choice of colours. The range of “Mukluk” boots have a lovely, cosy, furry lining which will take you through the coldest day. The Fitflop Boots that I have shown here are just two examples of the range, and they are from my own wardrobe. It is impossible to show all the great styles available in this small space, but if you are in the U.S.A. you can see the complete range of Fitflop Boots for Women. Here is the link for Fitflop Boots for Women in the U.K. So I’m sure you can see that there are Fitflops for wearing all through the year, so there is rarely any reason to go without their many benefits. I would hate for men to feel left out from the great experience of wearing Fitflops, and there is absolutely no reason why they should! The Fitflops for Men range is definitely for leisure wear, but there are still a good many styles to choose from. They come in a range of colours to suit all tastes. The sizes range from 7-12. Here is a link to the complete range of range of Fitflops for Men available in the United States. I do hope that you can now see why Fitflops are such an amazing brand and why I love them so very much! They will help to keep your feet, and in fact your whole body core, fit and healthy whatever activity you take part in. 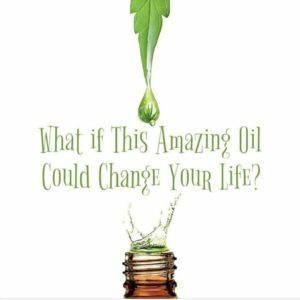 I really hope that you will give them a try, and if you like them – and why would you not?!? – then do your friends a favour and tell them about them too! I have lost cont of the number of my friends and acquaintances who have followed my recommendation to try Fitflops, and have loved them! I simply cannot praise Fitflops too highly! 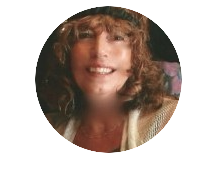 I will regularly be adding posts to this website about the various remedies and health information, and if you would like to be notified when a new post is published, then please leave your email address in the box provided at the side of this post, or in the Comments box. For your convenience, here again are the links to the complete ranges of Fitflops. I enjoy reading your post about Fitflops. It got lots of information which are really helpful, as i don’t know this brand very much. The price for fitlops also reasonable. For me, the most important criteria to choose footwear must be comfortable and healthy, not just stylish. Is Fitfops available for children as well? I m really happy that you enjoyed reading about Fitflops, and I hope that you will give them a try. Sadly,they do not make a children’s range, although the Women’s range starts at U.S. size 5, or U.K. size 3. I bought them for my children as soon as they reached those sizes, and they loved them as much as I do! These sound like a dream to wear. I think your enthusiasm has sold me on at least trying these. My feet do ache an awful lot. I like the idea that they are giving my legs a work out too. I’m actually going to get my other half to see if there are any suitable for him to wear at work. He’s on his feet all day and his legs and feet ache all the time.